Fill a pot halfway with canola oil and preheat to medium high heat. Place wonton skins on a board. 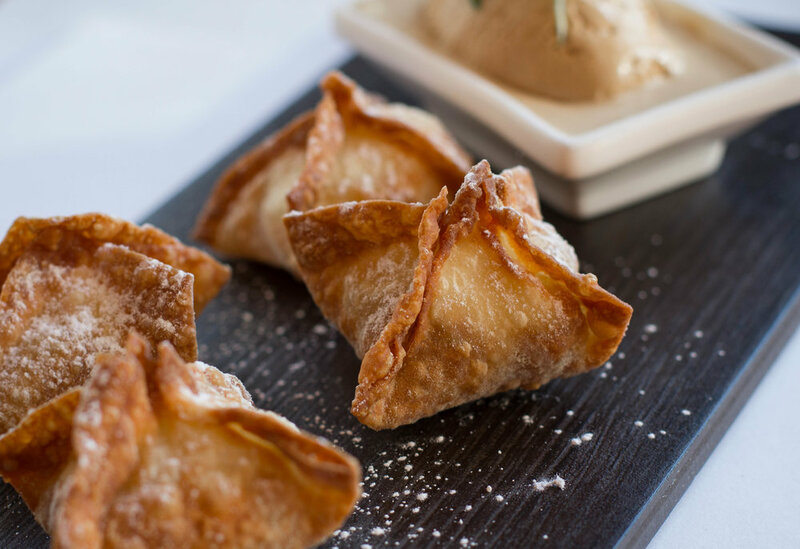 Cut cream cheese into ½ inch cubes and place one in center of each wonton skin. Place 1 tsp of guava paste onto each wonton skin. Place water on edges of wonton skin and fold into a triangle shape, making sure the edges are sealed. Fry until golden brown. Remove from fryer and dust with powdered sugar. Place on a plate with your favorite ice cream and enjoy.